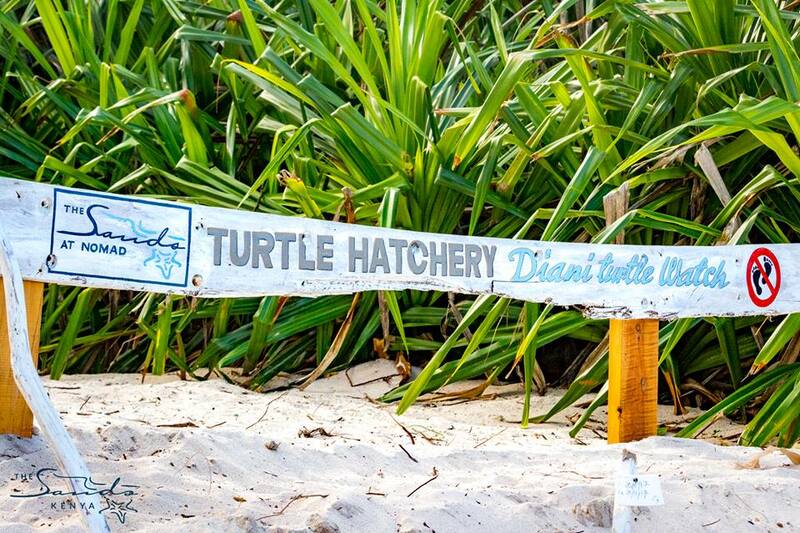 After the incubation period of around two months the first of the Green turtle nests in The Sand's at Nomad's turtle hatchery began hatching in August 2017. 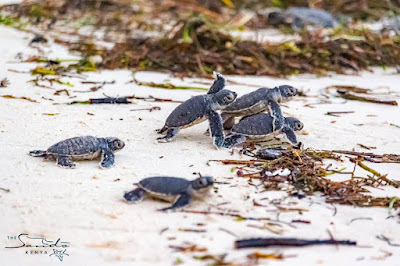 It is an incredible experience to witness this natural miracle of hundreds of tiny sea turtles flippering down the beach as fast as they can go, running into the ocean and automatically knowing how to swim. This is after they have managed to break out of their egg, dig through the human equivalent of about forty feet of sand into the light. 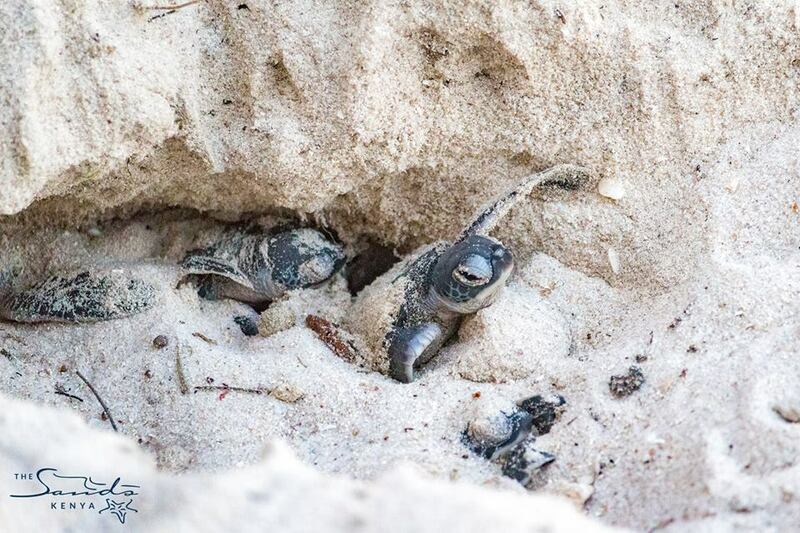 Often the hatchlings will take a break when they reach the surface of the beach as they wait for their siblings to catch up and to get their bearings from their internal compass. 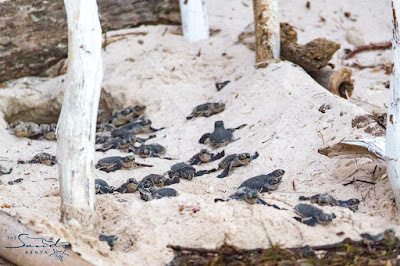 Sometimes the hatchlings will run for the ocean one or two at a time, but sometimes, if one is lucky, one can see hundreds of hatchlings all heading to the waves at the same time. Safety in numbers in the wild helps to raise the odds of survival for the individual. 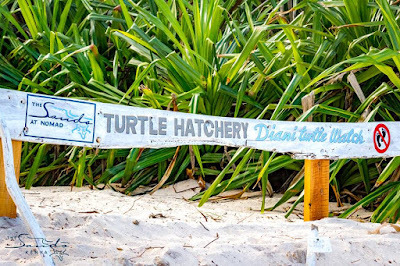 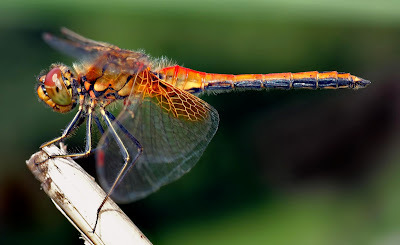 These photos were taken when the third nest out of ten hatched.